PLEASE NOTE: THIS OFFER HAS NOW FINISHED. Subscribe to our blog to receive updates on future offers! With Christmas very much all around, we thought it was about time we delivered our present to you! Everyone who signs up between December 20th and January 3rd will be able to try our 1 week OddsMonkey Premium trial for just £1. Between December 20th and January 3rd, log in to your OddsMonkey account, hit the blue ‘Get Premium’ button and remember to enter and validate the code: MONKEYCHRISTMAS. 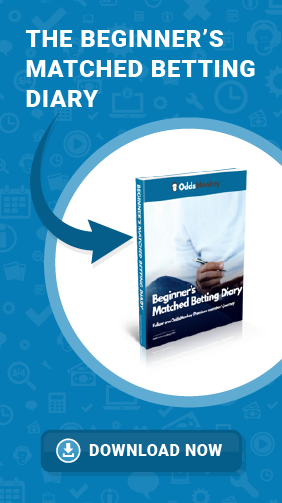 The cornerstone tool of matched betting, OddsMatcher compares the odds from over 90 bookmakers with 4 betting exchanges and will quickly become your best friend. A great place to get help, ask questions and offer advice, as well as seeing all the latest offers and OddsMonkey strategies. Automatically populates with the best selections, shows the expected value and allows you to ‘swap’ selections, so that you can build an accumulator to suit you. See all the latest offers for the day and tick them off as you go. Races with refund offers are pre-filtered with the maximum stake for the bonus clearly highlighted and selections are automatically filtered for each race. …and so much more (including more tools, offer training guides and round-the-clock support)! PLEASE NOTE: THIS OFFER HAS NOW FINISHED. Subscribe to our blog to receive updates on future offers or go Premium today for just £15 a month.